When ever I am in Oslo, the feelings inside me are almost impossible to describe or put to words. This is home for me, the one place I have lived the longest besides my country of birth Cameroon. I remember my teenage life, the friends I made since high school, college and colleagues, its all so real. I try as much as I can to meet up with most of them and catch up over coffee whenever I’m in town, and all these sessions make me miss this place even more. While on one of my countless trips around Oslo and playing the tourist I have become, I had to make a quick stop at the Oslo Opera Hus. This place is a tourist favorite, but I was even more interested in the pink building across the street, Havnelageret. I remember walking into that building about 7 years ago, straight from college,young and ambitious, and as God would have it, I began my professional career with a great company and spent the last 7 years working there until I got married and relocated recently. Awww, great memories, I miss that life and all the beautiful things it brought my way, every thing flashed before my eyes, and I remember how blessed I have been, smiled at the past and looking forward to many many new beginnings the future holds. On a different note, I am bringing out my favorite Fall/winter items to play since its getting colder here in Oslo. 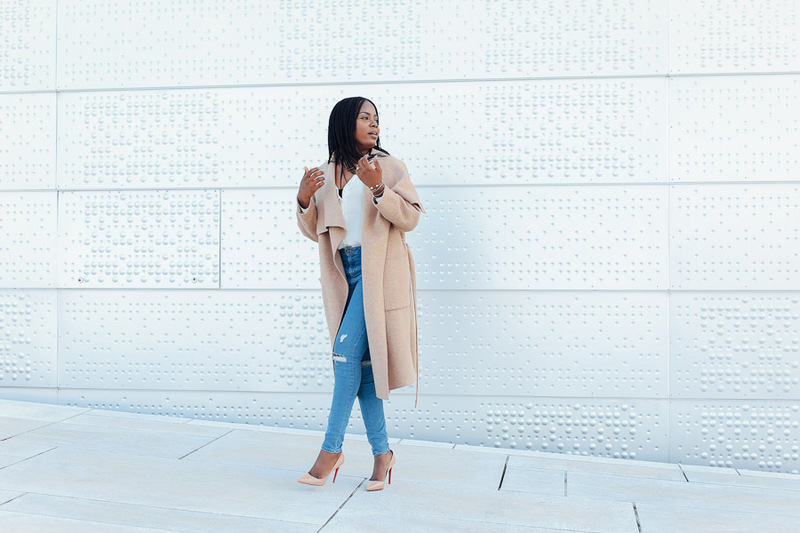 This camel coat from zara is a staple in my fall/winter must wardrobe. It fits perfectly and takes the most basic outfits from a 2 to a 10 immediately… Completed my denim and white button down combo with these classic striped espadrille for a daytime look and switched things up a little for night time with my tried and trusted loubies. Love the look? What are your Fall must haves ladies and what trends are you looking forward to this season? please share.. Enjoy the new week guys and check back soon..
Not sure what to start with! 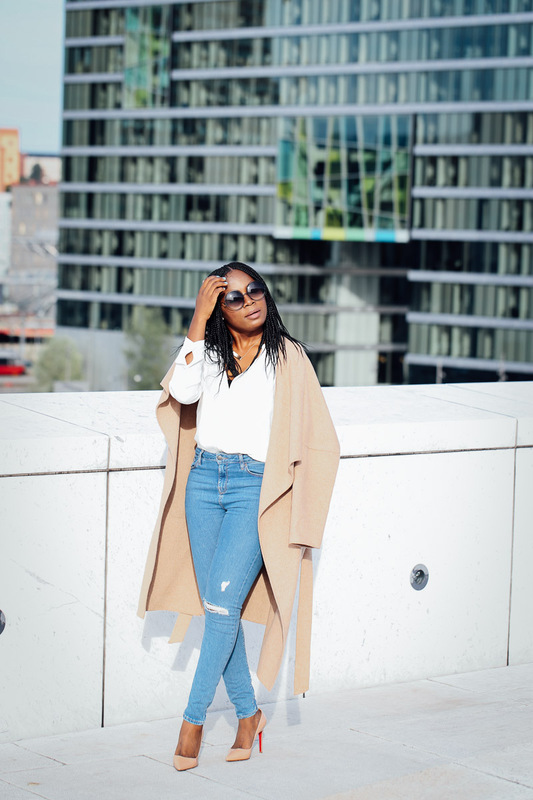 Love the espadrilles, love the camel coat, love the jeans and of course the Loubi’s…ok, I’m due a trip to Zara sef! Awww.. Thank you The HotJem , you are the best..